Arianna sits in Andrew's lap to watch TV, which she doesn't actually watch. Lilia is hungry after swimming. Micah gets creative with the map colors. Angie got a good deal on a bread machine at a garage sale. Arianna gave a little fashion show. Arianna found Angie's lipstick, and why not put it on the belly. The sunrise this morning, from our backyard. Arianna thought one wasn't enough. 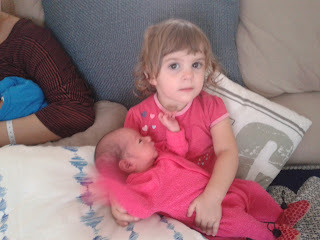 Arianna holding one of the twins. have coffee with some friends. Well let me think, it was Tuesday of last week when I blogged last. Let me hit some highlights. Wednesday is activity day, as elementary has no school, and Jr High just goes in the mornings. Lilia and a friend come over for lunch and we take them both to the pool for their swimming class. Speaking of which she has a competition this Saturday. 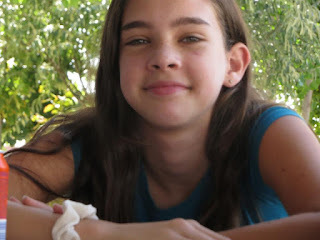 I can't believe that she will soon be 13 years old. The boys have their basketball at 4:30. I'm still having a good time coaching the youngest age group, 6-9. Last week we had ten, busy busy. Wednesday and Thursday evening is my basketball practice. My team played on Sunday morning and won 65-30. We had a new player last night, there were 14, several more that last year. I'm excited about the team we have coming from the states this summer, and about AC Green coming as well. The weekend went well. I gave the kids lesson at Church on Sunday. As always we enjoying staying and talking with everyone afterwards. The twins were there. (babies born recently to the australian couple that asked Angie to help translate at the hospital during the birth) This week has been good. We have had rain and cooler weather, lows around 50 and highs around 70. Feels like fall weather has finally arrived. Bible Study went well Tuesday night. We had four come and join us. 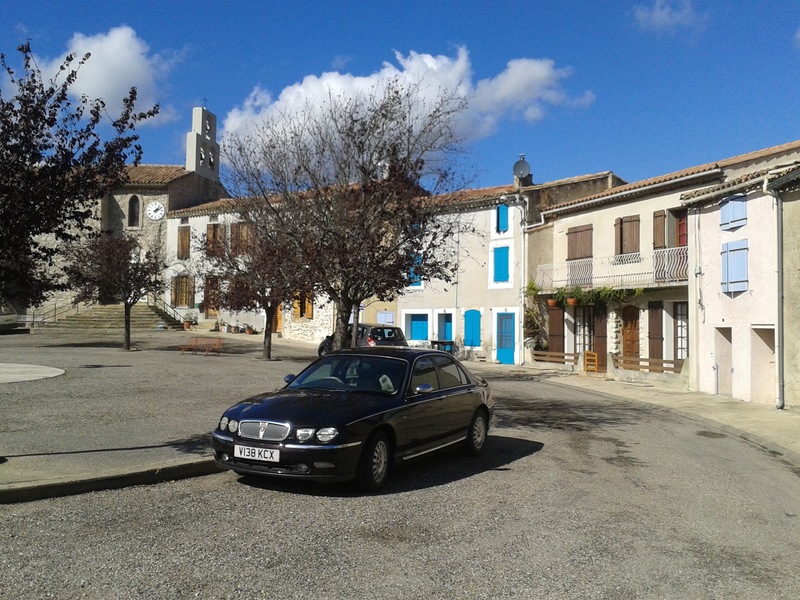 It is exciting that we all are from different backgrounds and places, but are united in Christ, and in our desire to see a church started here in Limoux. Been getting a lot of things done this week. I finished reading the book "Not a Fan" that I would recommend to anyone. I am also trying to get paperwork together for our visa renewal next week. The kids are all doing well. Lilia is making good grades, she got 100 recently on a French test (the highest grade in the class). Andrew is trying to get into the swing of 1st grade, actually having to learn things and do homework is kind of new for him. Micah, who does homework real fast, usually doesn't have much, but Caleb who does homework slower has a lot. One evening, he was working on homework all the way until bedtime. We did get a new cell phone, same model as the old one. It had been giving us problems for months, thankful to have a replacement finally. Angie joined a group called the AVF (accueil des villes francaise) that welcomes new people to towns by providing activities for them. Angie is taking advanced french classes. She has enjoyed meeting all the new people. 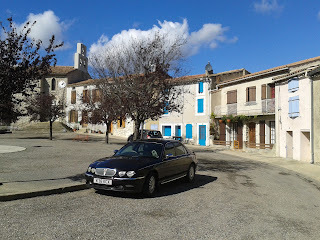 Last Friday night she attended the welcome time, and met the mayor of Limoux. She had a real good evening, meeting people, many British. Enjoy the pics and God bless, JASON. 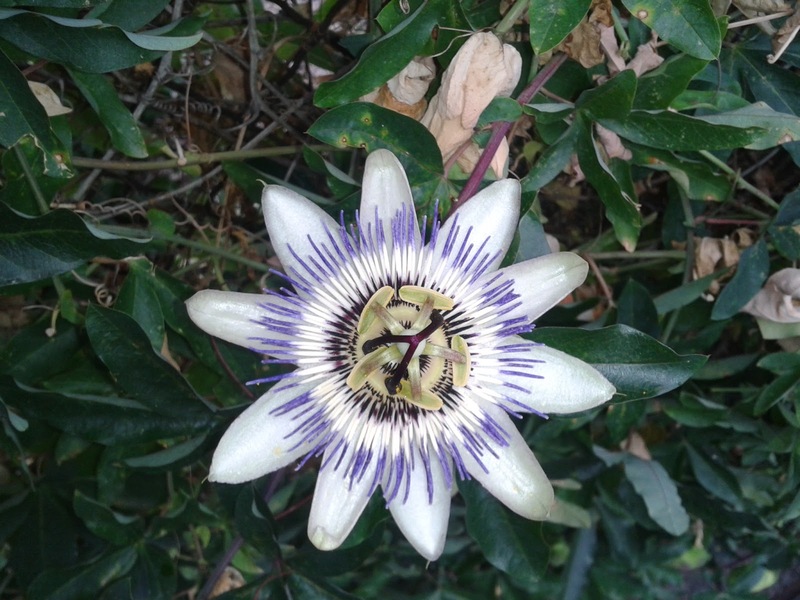 turns out it is passion fruit bloom. Arianna shows her hair cut. Lilia was playing with Arianna and taking pictures. Lilia made some type of chocolate spread for breakfast. Someone took this picture of Lilia in Turkey. Caleb and Andrew having some jelly toasts. Playing basketball at Micah's party. pointing out the rug that was Angie's present.